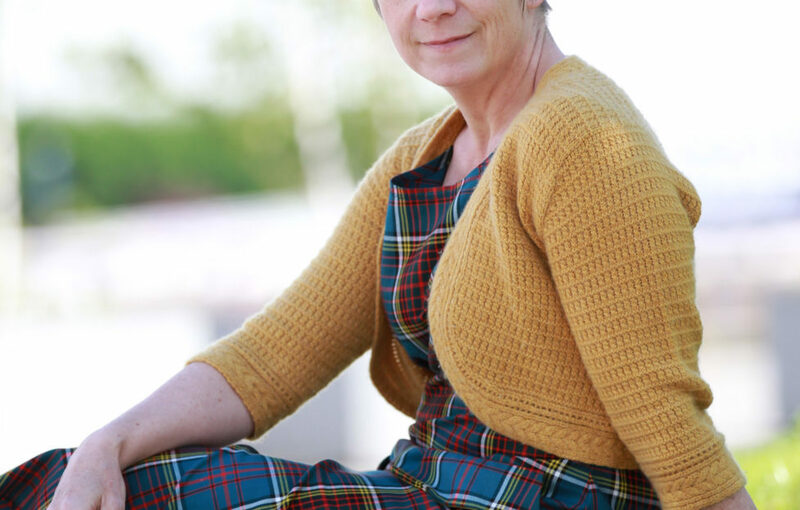 “I’m a bit of a ghoul,” reveals Scottish crime writer Denise Mina, who, in her pretty summer dress and bright yellow baseball boots, certainly doesn’t look like she has a ghoulish disposition. With grisly murders, menacing criminals and grim locations, Denise’s novels reflect her love of the macabre, as does one of her favourite days-out – a visit to the museum at the Royal College of Surgeons of Edinburgh. “It’s fascinating,” says Denise. “There are exhibits such as the spine of a woman who was almost doubled over with osteoporosis – and died giving birth to her seventh child – and a man with a growth on his face which was bigger than his head, which highlight just how much people had to contend with in days gone by. 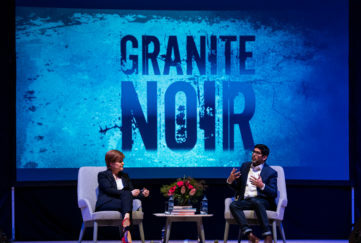 The proud Glaswegian pauses and, perhaps recalling the high number of Glasgow-based crimes in her books, laughs. Her latest series centres around Detective Alex Morrow, a police detective with a complex investigation on her hands and a young family to look after. With two sons aged 10 and 8, I suspect Mina knows only too well how difficult it can be to combine family and work (and solving crimes!). “I’m lucky – I’m very well supported by my mum and my partner and we have a childminder who comes in for an hour after school. Also, I just accept that our house will always be messy! Denise’s partner, Steve, is a forensic scientist, which she admits comes in handy when she’s researching a crime novel. “I can say ‘What exactly is a psychopath?’ and he’ll talk about this for twenty minutes, cutting down my research time drastically! “It also helps that lots of my cousins are lawyers. If I have any legal questions, I’ll take one of them out for lunch. My cousins also give me a tip offs when interesting cases are about to be heard in Court, which is how I found the inspiration for my latest book, which is another Alex Morrow novel. As well as writing best-selling crime novels, Denise is a successful playwright and has also branched into the world of comics, with a series for Hellblazer and several graphic novels. “I’m currently adapting The Girl With The Dragon Tattoo into a graphic novel,” says Denise. At the Edinburgh International Book Festival 2014 she launched IDP:2043, a graphic novel commissioned by the Festival. As story editor, Denise came up with the original idea for the book and asked comic legend Pat Mills, who wrote most of 2000 AD, to develop the cast of characters. 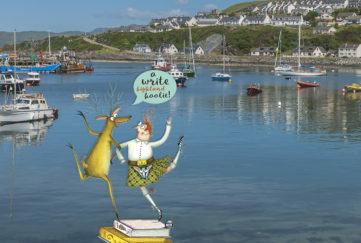 “Next, Pat and five other writers – Irvine Welsh, Adam Murphy, Will Morris, Hannah Berry and the very famous French graphic novelist Barroux – each created a chapter, which was then stunningly illustrated. Although Denise is a best-selling, award-wining author, and a regular at literature festivals all over the world, she admits she’s still amazed this is how she makes a living. 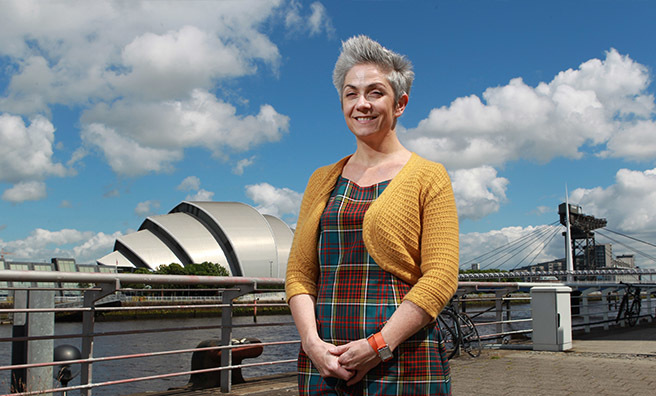 “A writing career can be short so my theory is to enjoy it while I can,” says Denise, who left school at 16 and had various jobs, including bar maid, kitchen porter and cook before undertaking evening classes so she could study law at Glasgow University. “I gave up studying for my PhD when my first novel, Garnethill, was published. The next day, I met my publisher, who said that the one piece of advice she’d give me was: ‘Don’t give up your job’! Garnethill and its two follow-ups, Exile and Resolution, featured the woman Denise still considers her favourite character – Maureen O’Donnell. Denise and her family live in the West End of Glasgow, surrounded by friends and relatives, but her childhood was spent travelling the world. “My dad was one of Scotland’s first generation of oil men and we moved about a lot when I was young,” says Denise. “We lived in Paris, London, Bergen, the Hague, Amsterdam – and Invergordon, which I have very fond memories of. On visits home to Glasgow, Denise was always struck by how much her mum’s side of the family – the Toners – loved storytelling. “Everyone would gather at my grandparents’ house on a Sunday night and there would be tea and cakes, singing – and lots of stories. I wanted to capture these stories so, with two of my cousins, I’ve made a documentary starring my mum and her siblings,” says Denise. “We asked them each the same ten questions and their answers were fascinating, especially about the house they were bought up in during the 1930s and 40s. “There were 15 in the family and they all lived in a wee council house in the south of Glasgow. 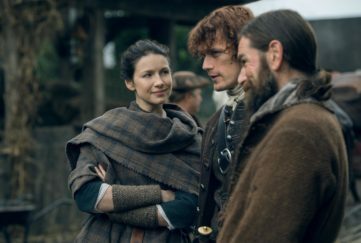 Their father, my grandfather, had come over to Scotland from Ireland, on his own, when he was about 12 to work in the mines. “The Toners had absolutely nothing – there was a box of shoes at the door and the children had to pick up a pair on their way out – but they were a very regal working class family. And they were smart – two of my uncles studied at Oxford. “While filming, I discovered that during China’s Communist Revolution, a Chinese priest lived with my grandparents as he couldn’t go home. According to my aunts and uncles, they really liked Father Lee as he didn’t take up too much space! And then Denise, who arrived on her push bike, complete with a basket on the front, suddenly remembers she has to pick up her youngest son from school and the funniest, warmest ghoul I’ve ever met cycles away in a flurry of waves and smiles! 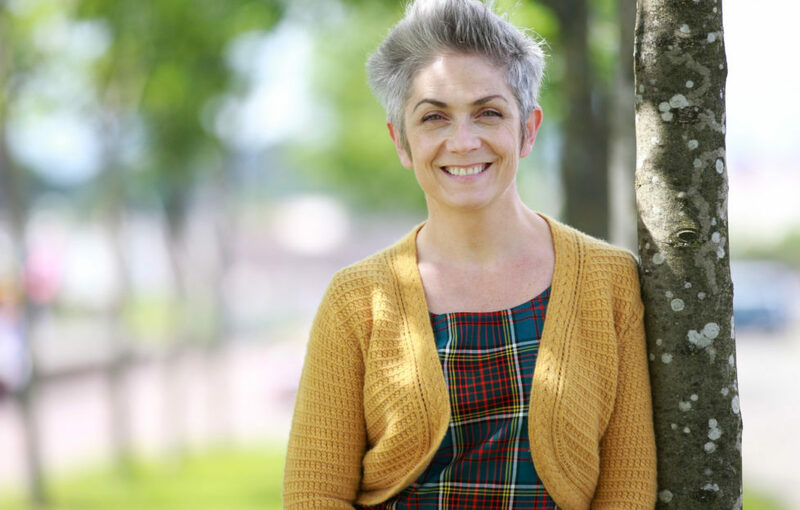 Denise is coming to Dundee on July 30 to talk about her latest novel Blood, Salt, Water at the Steps Library. Find out more, here. 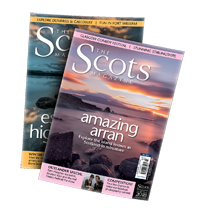 For more great interviews pick up a copy of the Scots Magazine, out every third Thursday of the month and available online.